Published on November 8, 2015 by Martyn. Be the first to comment! Even after eight novels in nineteen years, I still get goosebumps when a publisher sends me the final version of the cover for my latest book. 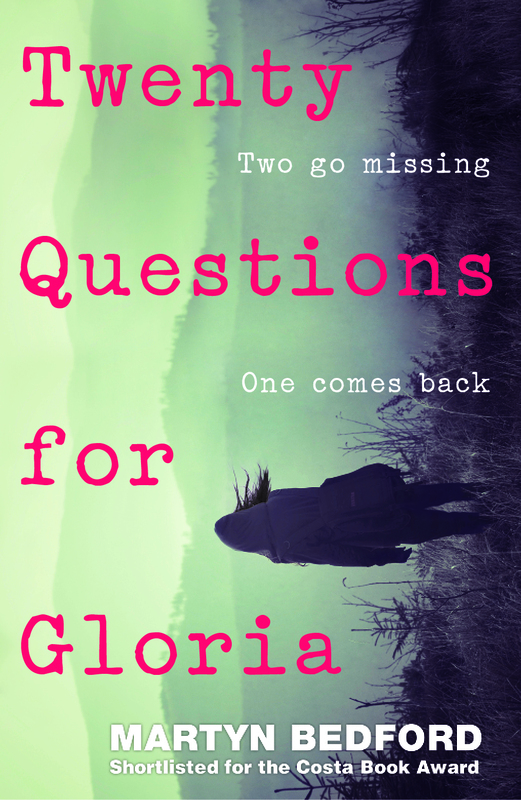 So it is with the UK edition of Twenty Questions for Gloria, the design for which popped into my inbox this week after a period of drafting, redrafting and last-minute tweaking. I’m hugely grateful to the in-house designer, Maria Soler Canton, and to the whole team at Walker Books for the skill and time they have put into producing such a beautiful, distinctive cover . . . and for their patience when my, and my agent’s, response to an earlier design sent them back to the drawing board. Walker take pride in the stylishness and originality of their jacket designs and this one is no exception. 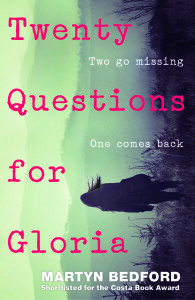 Twenty Questions for Gloria, my third novel for young adults, is published in the UK in February.